Item # 289745 Stash Points: 1,999 (?) This is the number of points you get in The Zumiez Stash for purchasing this item. Stash points are redeemable for exclusive rewards only available to Zumiez Stash members. To redeem your points check out the rewards catalog on thestash.zumiez.com. 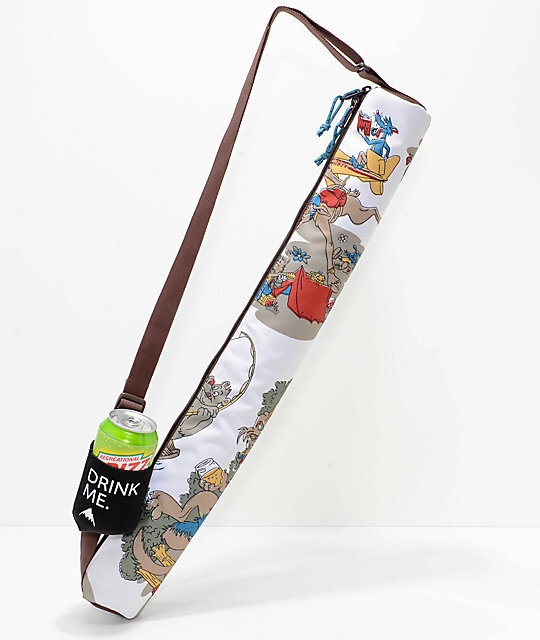 Keep your beverages cold and secure in the Burton Beeracuda Insulated Beverage Sling. The Duntadun Beeracuda offers a 2-liter carrying capacity that holds up to six cans when counting the attached beverage koozie on the shoulder strap. Burton's Duntadun Beeracuda features a custom print of partying woodland creatures. 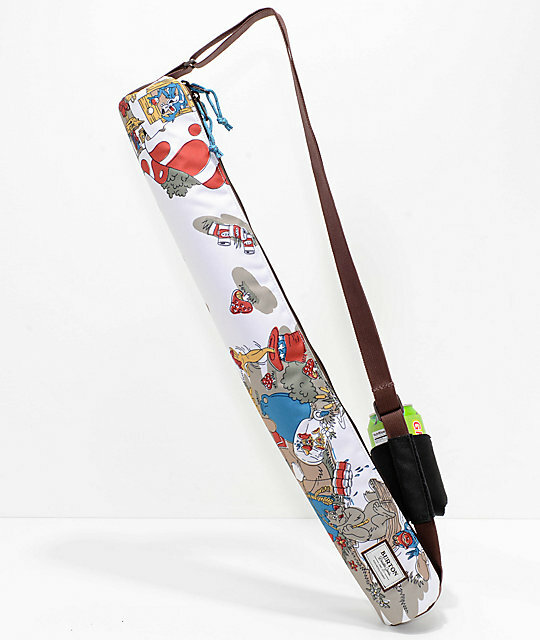 Beeracuda Duntadun Insulated Sleeve Sling from Burton. Duntadun: Pattern of goofy woodland creatures camping. Dimensions: 26" x 3" x 3" (2L). Removable koozie attached to shoulder strap.